Bon Appetit, originally uploaded by Angie Naron. oh that is not right…. 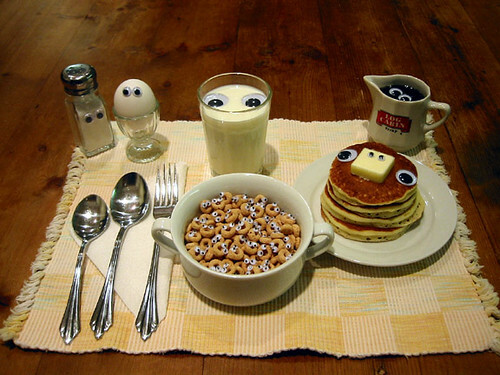 I get it: the eyes will help you to do the right thing and eat a balanced breakfast. I can’t eat food that looks back at me. It’s behind you RIGHT NOW. …perhaps I am the only one to notice the silverware has no eyes? I was going to mention that!